It’s Crea-Cross time again! The weekly creative linkparty for all creative people to show what they are up to! 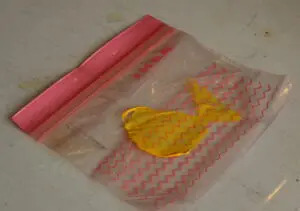 This week my kids did a print the sea project by using old platic freeze bags. It’s a great ‘bad weather’ activity that they will love! Trust me! Today my co-host is bij Patricia and I’d love you to take a look at her blog too. I’m very curious to see what she did! I don’t know about the rest of the world, but getting a plastic bag when you are shopping or buyin groceries is rare here in Belgium and the Netherlands. Fabric bags or shopping bags that can be used more than once are much better off course. I often use cardboard boxes too. Some people use plastic bags to crochet things with. 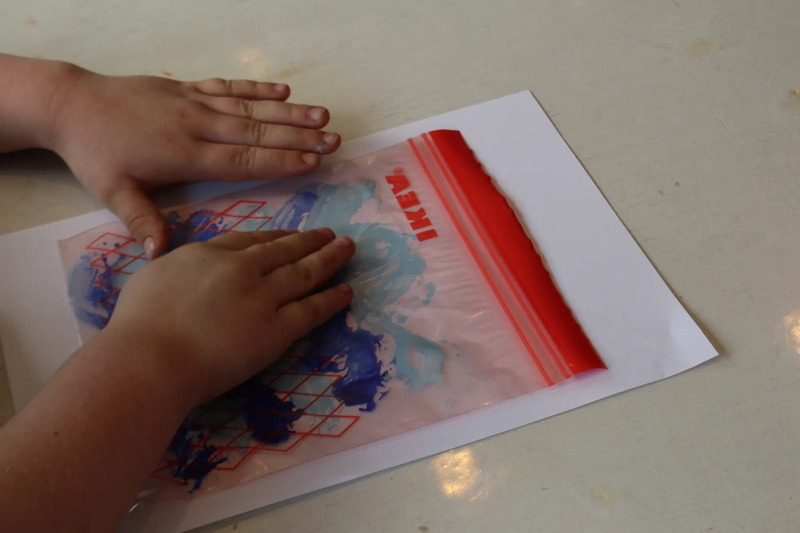 If you use plastic freezer bags and if you don’t want to throw them away immediately, you can use them to do some printmaking with your kids! The idea of using plastic bags to print is nog mine! Alisa Burk has a lovely blog post in which she explains how to do this. 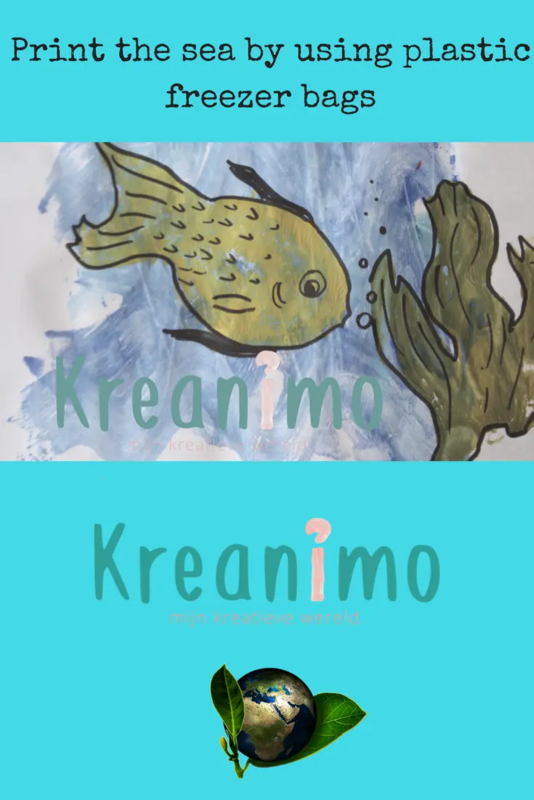 pictures of fish for little children. 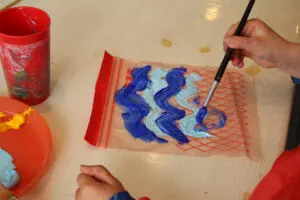 Let the kids use different tints of blue to paint wavy water lines on a bigger plastic bag. Beware that the bag is not larger than the paper you are going to use to print on. Try to make sure that they spread the paint well. That makes the print more like the painting on the bag. Put the bag with the paint on the sheet of paper en let them push with their hands on the bag. Pull off the bag and let the print dry. If there is still alot of paint on the bag, you can make a second print! Make sure the paint is dry before you go to the next step! Let the kids paint little fish or plants on smaller bags and let them print on the dried wavy blue prints you did earliers. Fish can swim in all directions, plants can brighten things up. 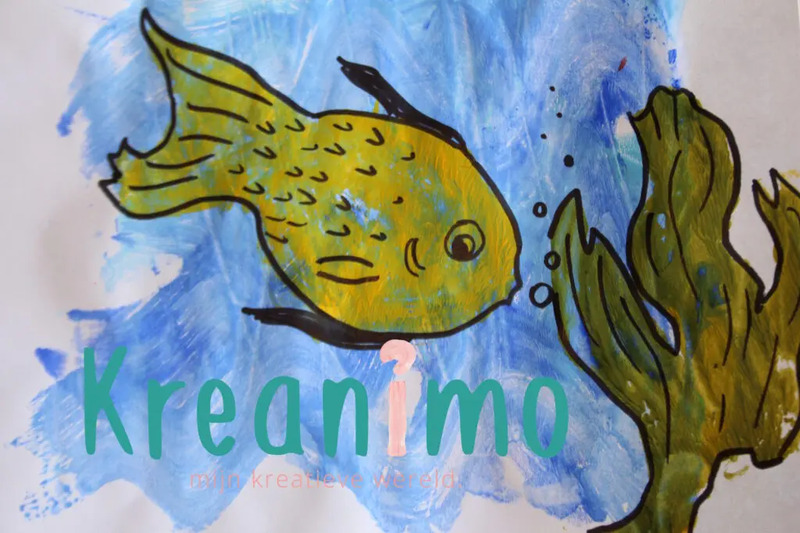 Let the kids use their imagination. Let it all dry again! With markers details can be added when the paint is completely dry! The prompt next week is ‘broken’. Not that easy, but maybe you can put your recycle hat on! Hope you have a lot of fun with this weeks prompt ‘Blue’. 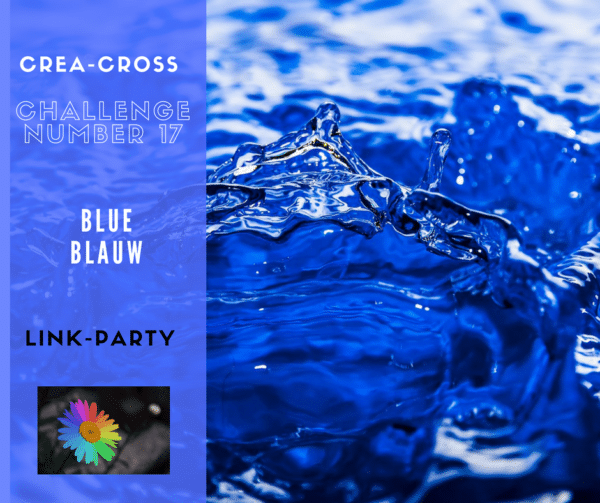 Don’t forget to link your blue projects in the linkup beneath!